The University of California Small Farm Program and UC Cooperative Extension advisors in four California regions are working with local partners to organize Regional Agritourism Summits for everyone involved in California agritourism. The summits will be occasions for farmers, ranchers, county planners, the tourism community and others involved to share, learn and plan together. Small-scale farmers offering an agritourism experience. To register, please see http://ucanr.edu/summits2017. A registration fee of $25 is requested, payable online or by check. Agendas for the summits are available on this site. Funding for this project was provided by the USDA Farmers' Market Promotion Program. More information: Penny Leff, UCCE Agritourism Coordinator, paleff@ucdavis.edu, (530) 752-7779. Farmers and ranchers are invited to attend an agritourism planning course being offered by UC Agriculture and Natural Resources in three Northern California locations this winter. 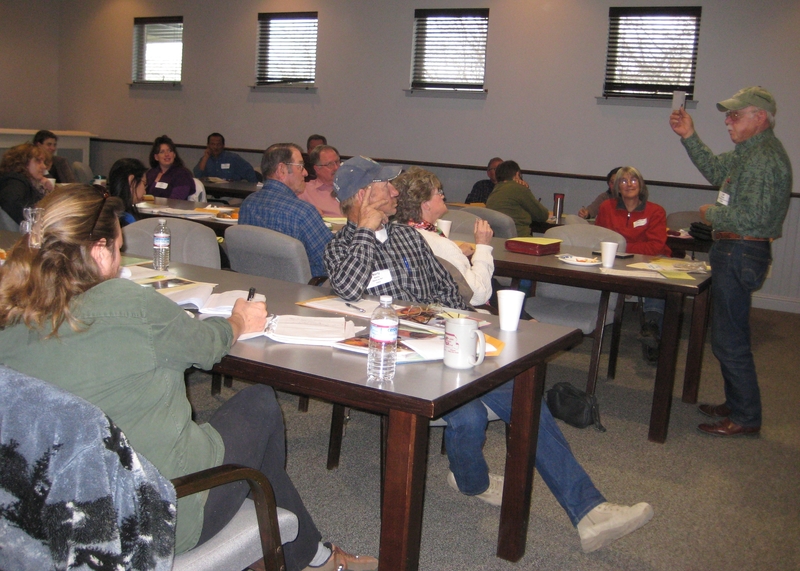 UC ANR Cooperative Extension is working with local agricultural and community organizations, tourism professionals, and experienced agritourism operators to offer the three-session Agritourism Intensive beginning in December in Quincy, Modesto and Redding. Farmers and ranchers who are considering, starting or expanding agritourism or nature tourism businesses on their farms or ranches are invited to register for this low-cost, hands-on course. Participants will learn about the variety of potential businesses, including farm stands, U-Pick operations, farm stays, event hosting, tours, festivals, education and outdoor recreation. Each participant will receive a free copy of the UC ANR handbook, “Agritourism and Nature Tourism in California,” which will be used as the text for the class. Experienced agritourism operators and experts will discuss business planning, risk management, regulatory compliance and marketing. Class instructors will provide individual guidance and help participants form a supportive network as they plan and develop their own agritourism or nature tourism businesses. Registration is open and space is limited so please sign up early. For more information, contact Penny Leff, UC ANR Cooperative Extension agritourism coordinator, at paleff@ucdavis.edu or (530) 752-7779. Funding for this project was provided by the Washington State University Western Center for Risk Management Education and the USDA National Institute of Food and Agriculture. The agritourism industry is finding new ways to connect consumers with farms. Visiting a farm to pick fruit is a fun family activity and an exciting way to teach kids how food is grown. The money spent by farm visitors also helps keep farmers in business. 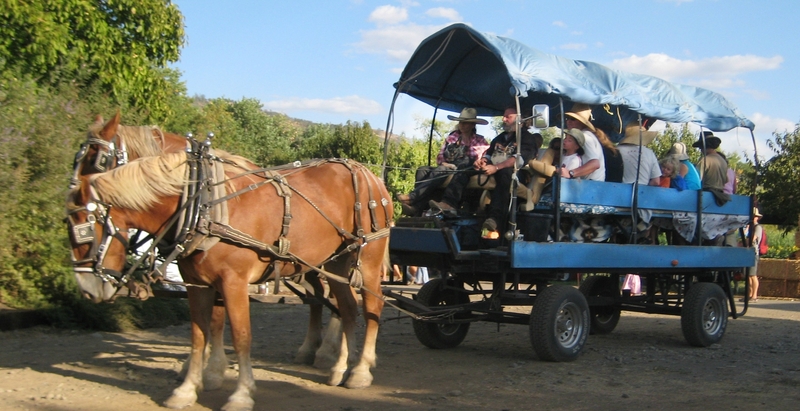 As farmers find more innovative ways to pique the interest of consumers, agritourism continues to expand in California. 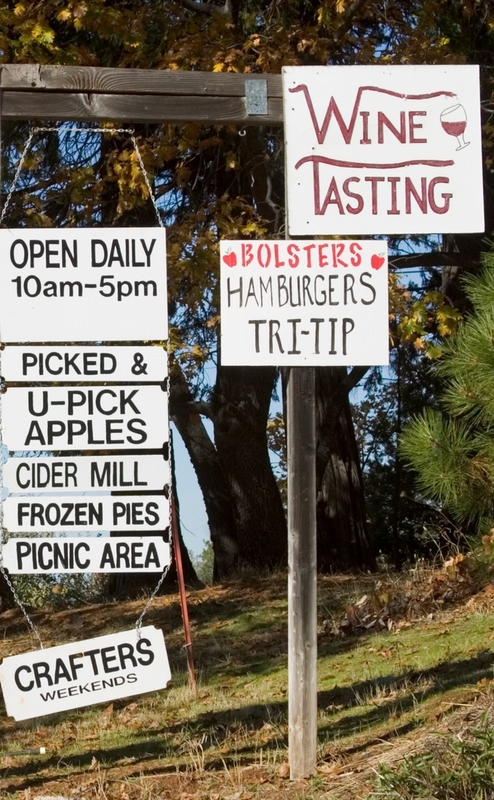 People who host a farm stand, U-pick, farm stays, tours, on-farm classes, fairs, festivals, pumpkin patches, Christmas tree farms, winery weddings, orchard dinners, youth camps, barn dances, hunting, fishing, guest ranch or any activity associated with a farm, are considered part of California's agritourism business. Everyone involved in California agritourism is invited to share ideas and make plans together at a Statewide Agritourism Summit on Wednesday, April 8, at the Heidrick Agricultural History Center in Woodland. The day-long event will be hosted by the University of California Agriculture and Natural Resources' Cooperative Extension and collaborating partners. UC's small farm program and Cooperative Extension advisors provide resources for farmers to add agritourism activities to supplement their farm income. 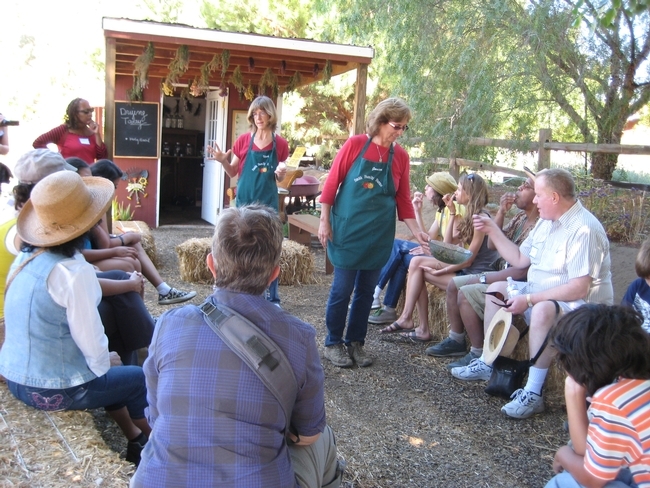 UC also hosts a directory of California agritourism operations to visit at http://calagtour.org. Farm Visitors ride a horse-drawn wagon at Full Belly Farm Hoe Down Harvest Festival"
People who should attend include agritourism operators and associations, agritourism regulators, agricultural associations and educators, tourism marketing and economic development professionals, county and state government staff, elected officials and anyone else involved in California agritourism. This participatory event will be 8:30 a.m. to 4 p.m., with lunch provided. Participants are invited to bring marketing and organizational information to display and share. This project is funded in part by the California Department of Food and Agriculture's Specialty Crop Block Grant program. Additional sponsors are Western Sustainable Agriculture Research and Education (WSARE) for California, Sierra Nevada Conservancy, and California Rangeland Conservation Coalition. Funding is available through these generous sponsors to assist with travel costs for a limited number of agricultural producers and agricultural educators who could not otherwise attend the summit. For information about travel assistance, please contact Penny Leff at paleff@ucdavis.edu or (530) 752-7779. For more information, visit the Statewide Agritourism Summit website athttp://ucanr.edu/agtoursummit2015info. Registration costs $20 until April 3, 2015, or $30 at the door. Register online at http://ucanr.edu/agtoursummit2015. 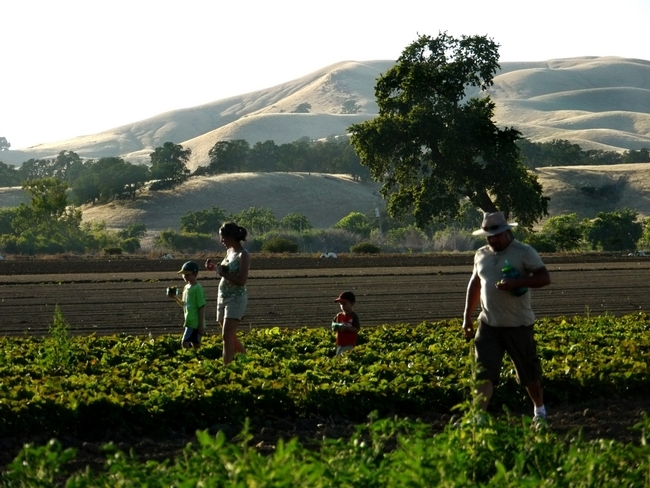 A family enjoys picking vegetables on a farm in the Capay Valley. With the help of the University of California's Small Farm Program, three agritourism groups have released farm trail maps, directing the public to previously unknown gems from the Sacramento River Delta, Capay Valley and North Yuba regions, allowing easy access to farm tours, wineries, u-pick and festivals. Each map gives more reasons to see and taste the bounty of California. 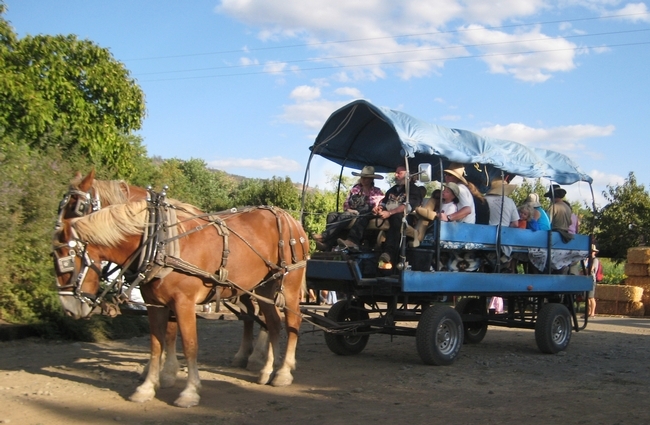 The maps and updated websites suggest driving seasonal tours through olive ranches, vineyards, stone-fruit orchards, farm stands and farms. The Sacramento Delta region drive takes visitors along raised levees in a maze of waterways. Capay Valley boasts a long stretch of scenic beauty between two mountain ranges where pioneering organic farms hold yearly festivals. The North Yuba region, mountainous and seemingly remote, directs visitors from wineries to olive ranches and production facilities to a historic barn, while offering lakes and camping options. Financed through a California Department of Food and Agriculture grant awarded to the UC Small Farm Program to enhance rural tourism and promote specialty crops, the three agritourism groups were given help creating maps, updating their websites, promoting an event and learning how to sustain their groups. “Sometimes the best way to appreciate how lucky we are to live in California is to see and taste what our amazing farmers are growing,” Penny Leff, Small Farm Program agritourism coordinator says. “And it's a great way to see California,” she adds. Though California produces nearly half of U.S.-grown fruits, nuts and vegetables, the public rarely gets to meet the farmers and view their operations. Discovering California through farms and off the usual destination track is an opportunity for short-distance day trips or weekend getaways. Events such as Open Farm Day in Capay Valley on October 5, August Passport Weekend in the Delta and May Tractor Day in North Yuba offer great food and family participation. The University of California Small Farm Program focuses on the challenges and opportunities of California's small-scale farm operators. The three new farm trail maps are part of a project funded by a California Department of Food and Agriculture's Specialty Crop Block grant, and managed by the UC Small Farm Program. Bill Burrows, owner of Burrows Ranch west of Red Bluff, shows a picture from his Burrows Ranch Hunting Club at an agritourism class last year in Orland, Calif. The University of California Cooperative Extension (UCCE) is working with local agricultural and business planning organizations, tourism professionals, and experienced agritourism operators to offer a three-session agritourism planning course for farmers and ranchers in Riverside, Ventura and Monterey counties. Farmers and ranchers who are considering, starting or expanding agritourism or nature tourism businesses on their farms or ranches are invited to register. “With prices, competition and water situations the way they are all over California, it can be hard for a farmer or rancher to make a living on small acreage," said Jose Fernandez De Soto, UC Cooperative Extension academic coordinator and member of the project team in Ventura County. "Events, U-Pick orchards, educational tours, farm stays, and other visitor-serving operations can add something to their income and help spread the risk of a hard production year. Our workshops will give farmers and ranchers the contacts and tools to more successfully grow and market their agritourism enterprises." Participants will learn about the variety of potential businesses, including farm stands, U-Pick operations, event hosting, tours, festivals and outdoor recreation. Each participant will receive a free copy of “Agritourism and Nature Tourism in California." The handbook, published by UC Agriculture and Natural Resources, will be used as the text for the class. Attendees will hear from experienced agritourism operators and experts in business planning, risk management, regulatory compliance and marketing. Class instructors will provide individual guidance and help participants form a supportive network as they plan and develop their own agritourism or nature tourism businesses. Funding for this project was provided by the Washington State University Western Center for Risk Management Education, the USDA National Institute of Food and Agriculture (NIFA).